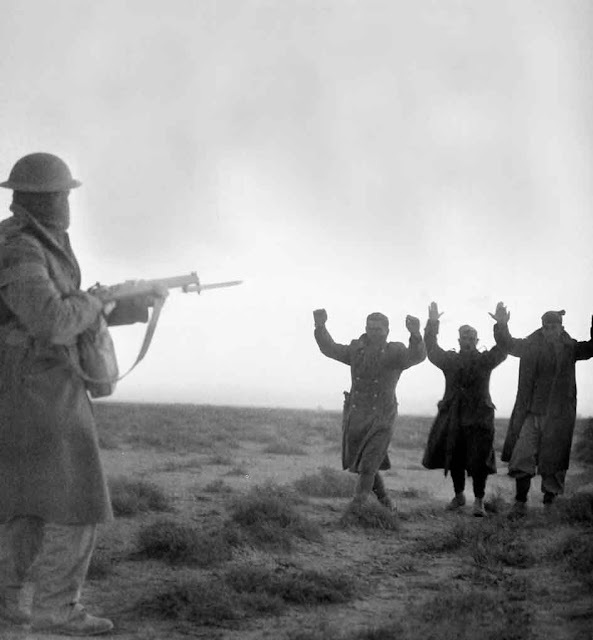 Italians surrendering at Bardia, 5 January 1941. Italian/Greek Campaign: The fighting at the Klisura Pass continues on 5 January 1941, without much change. Elsewhere, the lines have pretty much settled in for the winter. The real action regarding the Italian/Greek war no longer is taking place in Greece, Albania or Italy. The British receive intelligence today suggesting that the Germans will be in position to invade not only Greece, but also Yugoslavia and Bulgaria no later than 15 January. This would greatly expand the British defense issues in the Mediterranean Basin. In fact, Hitler is nowhere near being in position to launch such an operation so soon, and Yugoslavia and Bulgaria are not on the agenda at all yet - but he indeed is working on Greece. General Papagos also is aware of the growing threat of German participation. He plans to make a final lunge for the key Italian port of Valona before they can intervene, and this decision will guide much of the coming action. The theory is that if he takes Valona, Papagos then can shift troops to meet a German invasion from Bulgaria. To do that, however, he has to act fast in Albania. European Air Operations: The RAF bombs Palermo and Crotone. On the Channel Front, operations are very light due to the weather. 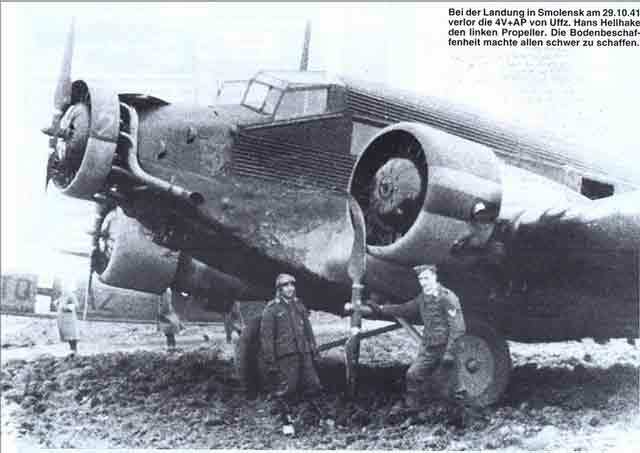 The Luftwaffe makes small attacks on London and nearby areas, and British Coastal Command raids the port of Brest, but essentially it is a "free day" for both sides. Battle of the Atlantic: Italian submarine Cappellini gets in a gun battle with, and sinks, 5029 ton British freighter Shakespeare off of Morocco. There are 20 deaths. The Cappellini tows the boats of the 22 survivors to within sight of land at Cabo Verde. This is quite generous of the Italians and captain Salvatore Todaro, considering that one of their own men was killed in the gun duel. The seas in the Atlantic are rough, and survival in the frigid water has a very low probability. Dutch 6718 ton freighter Soemba capsizes and sinks in the heavy swells. There are 34 deaths and 24 survivors, picked up by fellow convoy member Rydboholm. The Luftwaffe bombs and damages 4427 British freighter Temple Moat in the Northwest Approaches. There is one death, but the ship eventually makes port at Gareloch. The Luftwaffe also damages 5483 ton Dutch freighter Alioth near the Cork Light Vessel, and it also makes port, at Ipswich. German auxiliary patrol ships (vorpostenboot) VP 303 and VP 306 "Fritz Hinke" hit mines and sink off Ijmuiden. Royal Navy sloop HMS Lowestoft is damaged by a mine in the Thames Estuary. It will go to Chatham for repairs. Royal Navy cruiser HMS Adventure lays mines in St. Georges Channel. Convoy OB 270 departs from Liverpool, Convoy FN 376 departs from Southend. 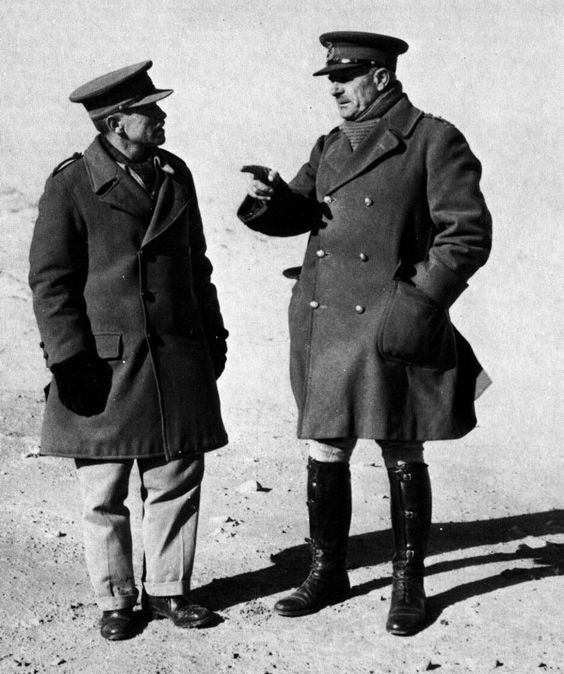 General Wavell (right), Commander-in-Chief, Middle East, confers with Major-General R. N. O'Connor, Officer Commanding operations in the Western Desert, outside Bardia, January 5, 1941. Battle of the Mediterranean: Having cut the Bardia fortress in two, the Australians now go about reducing the two Italian pockets on either side. The 19th Australian Infantry Brigade advances to the south with six Matilda tanks and, along with the 17th Australian Brigade pressing from the other side, eliminates resistance there. The northern pocket then surrenders. Altogether, the British take 25,000-45,000 prisoners, 130 light and medium tanks, 400 guns, and hundreds of other vehicles. The valuable booty includes water pumps capable of producing 400 tons of fresh water per day. The Italians suffer 1703 killed and 3740 wounded, the Australian 6th Division takes 130 deaths and 326 wounded. Next on the agenda is Tobruk, also to be attacked by the Australians later in the month. Middle East Commander Archibald Wavell already is looking past Tobruk. He tells his Chief of Staff in a note that Benghazi now is the ultimate objective of Operation Compass. However, his superiors in London now are beginning to worry about German intervention in Greece, so how much commitment Wavell will receive from them remains an open question. The Italians, of course, are not happy about another military catastrophe. Radio Rome claims that the garrison was overwhelmed by 250,000 men and 1000 aircraft, when in fact only a single Australian Division, the 6th Division, was involved. General Rodolfo Graziani, however, has a better grasp on what actually is happening. He decides that Cyrenaica is indefensible and decides to fall back through Beda Fomm. General O'Connor of XIII Corps, learning of this quickly, orders the 7th Armoured Division to turn inland, cross the desert instead of taking the longer coast road, and try to block the Italian retreat at Beda Fomm. Royal Navy forces including two cruisers (HMS Gloucester and Southampton) depart from Alexandria for Suda Bay, Crete. There, they will embark troops for transport to Malta. This is the beginning of Operation Excess. Italian 273 ton coastal freighter Vulcano hits a mine and sinks near Tobruk. On Malta, two men receive the George Cross for defusing unexploded bombs: Captain R L Jephson Jones and Lieutenant W M Eastman, RAOC. US/Vichy French Relations: Admiral Leahy and his wife arrive in Vichy at midnight, having brooked no delay in getting there from Lisbon. Anglo/US Relations: Heavy cruiser USS Louisville makes port at Simonstown, South Africa as part of Operation Fish, the transport of British gold to New York. It begins loading $148 million gold immediately for departure on the 6th. These essentially are Great Britain's last reserves and will be used to pay for war material. Belgian/German Relations: Rexist leader Léon Degrelle makes a speech in Liege in which he professes devotion to the Nazis and Adolf Hitler. Degrelle's Rexist party never has been particularly popular in Belgium, and many even in his own party are not comfortable with this association. Soviet Military: War games continue in the Soviet Union. Georgy Zhukov, commanding the "German" forces, is beating Colonel General D.G. Pavlov, commanding the Red Army. This stage will end tomorrow. China: The Nationalist Chinese (Kuomintang) attack the Communist New Fourth Army as it retreats at Maolin, Anhui Province, China. A force approximately a division in size is surrounded. Amy Johnson, shown here under her married name, became famous in her Gypsy Moth. Among many other things, she was the first pilot to fly from London to Moscow in one day. 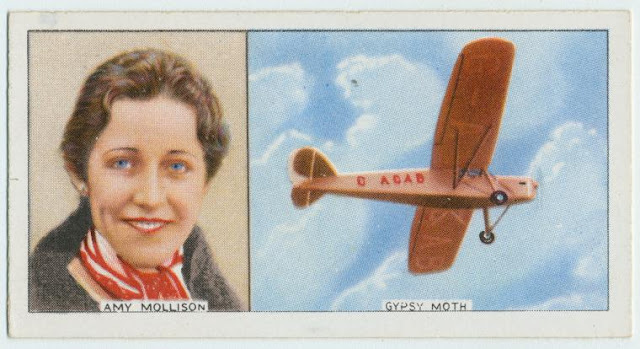 Her most famous flight was from Croydon Airport to Darwin, Australia. British Homefront: Amy Johnson, a famous early aviatrix now working for the government Air Transport Auxiliary (ATA) ferrying planes, perishes following a plane accident. Flying an Airspeed Oxford from Prestwick via Blackpool (Squire's Gate Airfield) to RAF Kidlington near Oxford, Johnson's plane runs into foul weather and she drifts off course. After the plane runs out of fuel, Johnson bails out and is seen alive in the water. However, despite heroic efforts - the commander of the only vessel on the scene, Lt. Commander Walter E. Fletcher of barrage balloon vessel trawler HMS Haslemere, dives into the frigid water to save her but perishes later as a result - Johnson either freezes to death, drowns, or (as one theory has it) is sucked into the blades of the rescue ship's propellers after her parachute gets caught. The water is very rough and Johnson's body is never found. There is an inscription for Johnson on the Air Forces Memorial at Runnymede due to her ATA service. There is some controversy over this incident. One theory is that there was a passenger in the plane who also perished - but, if so, that person never has been identified, and why that would be the case creates some mystery. Another theory is that British anti-aircraft fire brought her down after she strayed off course, mistaking her plane for a Luftwaffe intruder. Both theories have some tantalizing evidence that appears credible. This is another case where government that remain sealed under the 100-year rule may offer some insight. American Homefront: Broadway musical "No For An Answer" (Marc Blitzstein) premieres at the Mecca Temple in New York City. Japanese Homefront: Hayao Miyazaki is born in Akebono-cho in Bunkyō, Tokyo. Hayao becomes interested in animation as a profession in high school, but decides early on not to mimic others. He gets a job at Toei Animation in April 1963, and by 1968 is the studio's chief animator. That year's "Hols: Prince of the Sun" gets Hayao recognition, and he follows it up with Kimio Yabuki's "Puss in Boots" the following year. After leaving Toei in August 1971, Hayao joins studio A Pro, then other firms, working on various television series. At Telecom Animation Film he directs his first anime feature film, "The Castle of Cagliostro" (1979), which is very well received. He begins to develop the themes of flight and cats, which he often combines in films like "Kiki's Delivery Service" (1989). Miyazaki goes on to direct some of the classics of anime, including "Princess Mononoke" (1997), "Spirited Away" (2001) and "The Wind Rises" (2013). His company, Studio Ghibli, becomes known as the "Asian Disney." While Hayao Miyazaki announced his retirement on 6 September 2013, he continues to work on various projects. Chuck McKinley is born in St. Louis, Missouri. He goes on to become a top tennis player, winning the 1963 Men's Singles Championship at Wimbledon and winning the US Men's Doubles Championships with partner Dennis Ralston three times in the early 1960s. 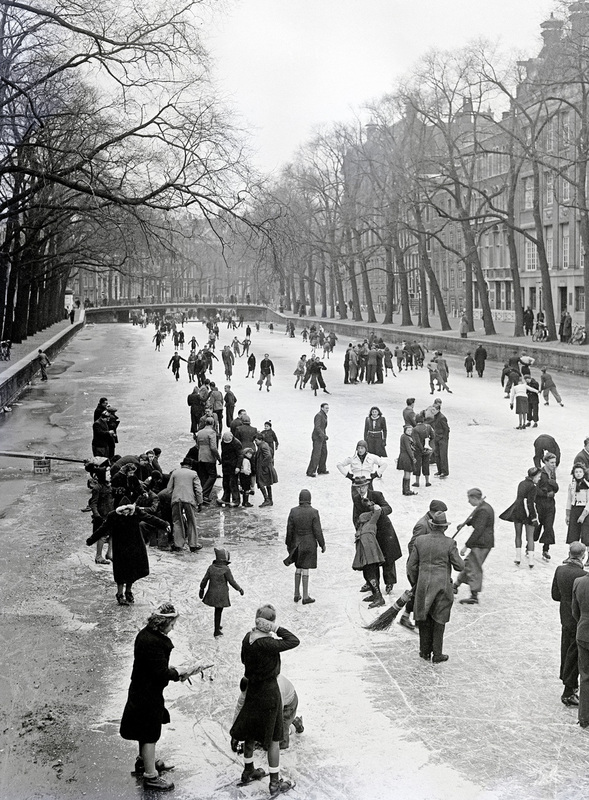 Skaters at the at the Keizersgracht, Amsterdam on January 5, 1941 (Gigapica).